How to watch GODZILLA Planet of the Monsters: Part 1 (2017) on Netflix Netherlands! 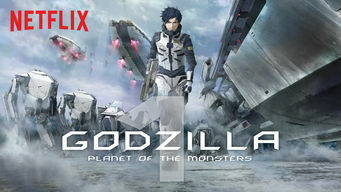 Yes, GODZILLA Planet of the Monsters: Part 1 is now available on Dutch Netflix. It arrived for online streaming on January 17, 2018. We'll keep checking Netflix Netherlands for GODZILLA Planet of the Monsters: Part 1, and this page will be updated with any changes. 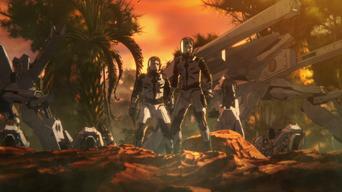 A desperate group of refugees attempts to recolonize Earth 20,000 years after Godzilla took over. But one young man wants revenge above all else. The vastness of time and space is no obstacle to his thirst for revenge. Now it's his turn to fight the monsters. Part 1 of GODZILLA Planet of the Monsters has 1 episodes. Because different Netflix countries have different availability for episodes, you'll need to check the episode listing below to see which are available in the Netherlands. Faced with a grave dilemma, the crew of the Aratrum decide to return to Earth. There, Haruo and his shipmates make an astounding discovery.